I couldn't find the thread that may have covered this already, feel free to delete mods. 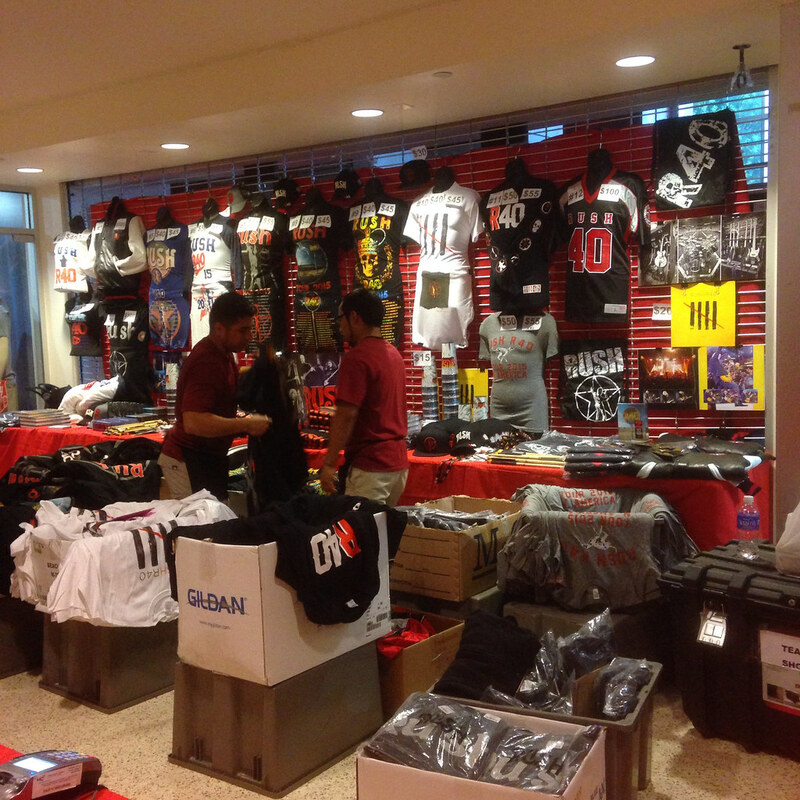 Both shows I went to, the merchandise booths were still going full-bore after the shows. I've taken to buying them off the Backstage Club the past few tours for exactly that reason. Thanks man. You wouldn't happen to have a pic of it do ya? I just checked and it's available from the Back Stage Club. Ah, that wasn't there a few days ago. Awesome. Thanks man! Thanks for the heads-up...some nice new items listed. Yup, the shows always have a couple items not offered online. Wow, originally I was set on the AFTK Skull tour tee and the R40 raglan but now I'm not so sure since I'm now taking a liking to that white R40 shirt (mostly because it's white) and the black R40 long sleeve. Gonna have a hard time choosing which merch I'm gonna get when I see them in NYC. the white shirt with the four black lines with a red one through it....???? What do you all think it means? I remember seeing long sleeved t shirts at both Columbus and Buffalo.